Tooth decay is one of the most common preventable diseases that affect children in the United States. Even babies can get cavities. Tooth decay can cause children pain and can make it difficult to eat, speak, sleep, and learn. 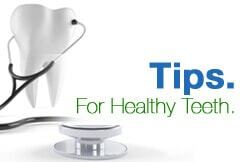 Fluoride is one of the most effective ways to prevent cavities. One way that children can get fluoride is with a varnish. This can be a good option even if your local water supply does contain fluoride. Your pediatric dentist may recommend applying a fluoride varnish even if your water is fluoridated and your child is at risk for tooth decay. Fluoride varnish is safe and recommended for kids of all ages, even babies who are getting their first teeth. Only a very small amount of varnish is applied at one time. The varnish is painted on the teeth with a small disposable brush. The procedure is quick, painless, and does not leave an unpleasant taste. After a dentist paints fluoride varnish on your child’s teeth, you should not brush them until the following day to give the varnish time to begin working. Do not give your child any hard or chewy foods, including gum or steaming hot food, on the day of the treatment because they can chip or melt the varnish. Fluoride varnishes can be clear or yellow. Your child’s teeth might appear yellow for 24 hours. This is normal. The yellow color will go away after your child’s teeth are brushed. Fluoride varnish sticks to the teeth until it is brushed away. The benefits will continue for several months. To get the best results, the fluoride varnish should be reapplied every three to four months.